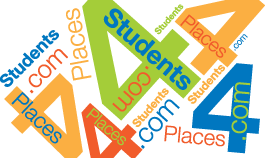 Students using our website have found it to be a safe and convenient way to search for off-campus housing accommodations. Landlords pay to advertise their listings on Places4Students.com, so fraud or scam attempts are extremely rare. The landlord is out-of-country and unable to show the property personally. A security deposit or first month's rent is requested first, before the student can 'view' the property. The landlord asks a student to 'wire' money. Other payment options are trackable and recommended. The landlord states an 'agency' will show the property and deliver the keys. If the property is privately owned and not operated by a property management company, confirm that the agent represents a reputable leasing company first. If you suspect that you have been targeted by a rental scam, report it to your local law enforcement agency immediately. When in doubt, check it out! Nearly all scammers we have encountered operate out of foreign countries, claiming to be landlords that are temporarily living outside of North America. Their emails are often full of grammatical and spelling errors and they request a deposit before the potential tenant has had a chance to preview the rental property. Never wire funds to anyone claiming to be a landlord currently living in a foreign country. Never send money back when requested, because of an 'overpayment' sent to you. Never give out personal financial information (checking account number, SSN, etc). Trust your instincts. If something seems strange, or you don't feel completely comfortable with a landlord, do not rent from him/her and discontinue further correspondence. Be cautious when detailed information, personal photos or property pictures, etc. are provided without requesting it, as this is typical scammer behavior.